Want to visit websites without annoying ads, videos, and other distractions? 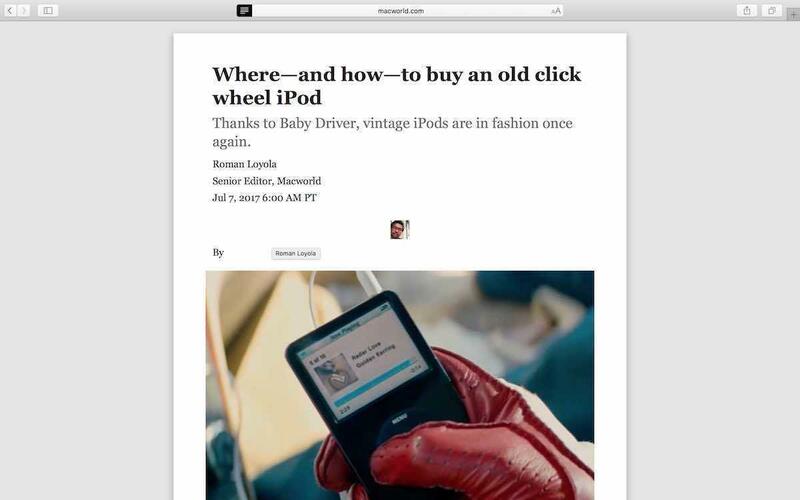 Safari's Reader mode is the way to go. 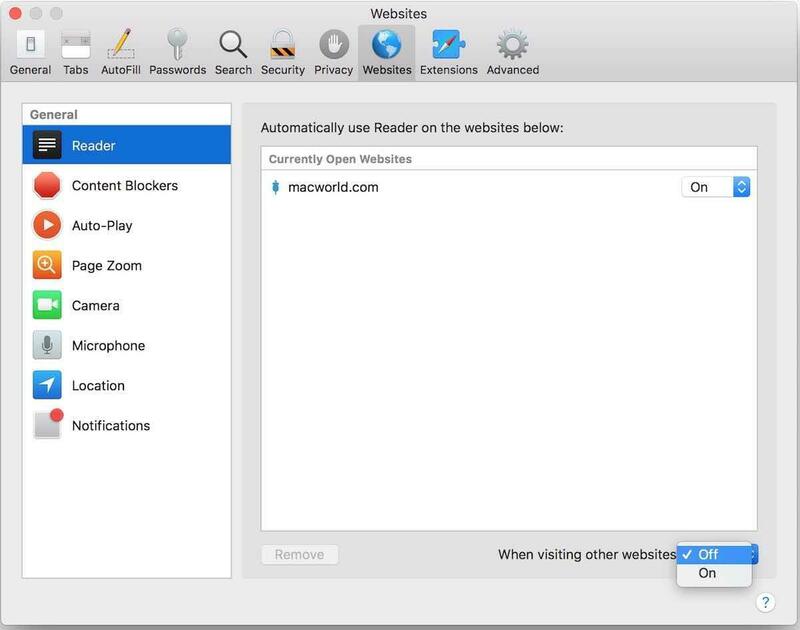 Safari’s Reader mode is a way for users to peruse a webpage without distractions from ads, videos, sponsored content links, and other web elements you may not consider essential to the article you are reading. 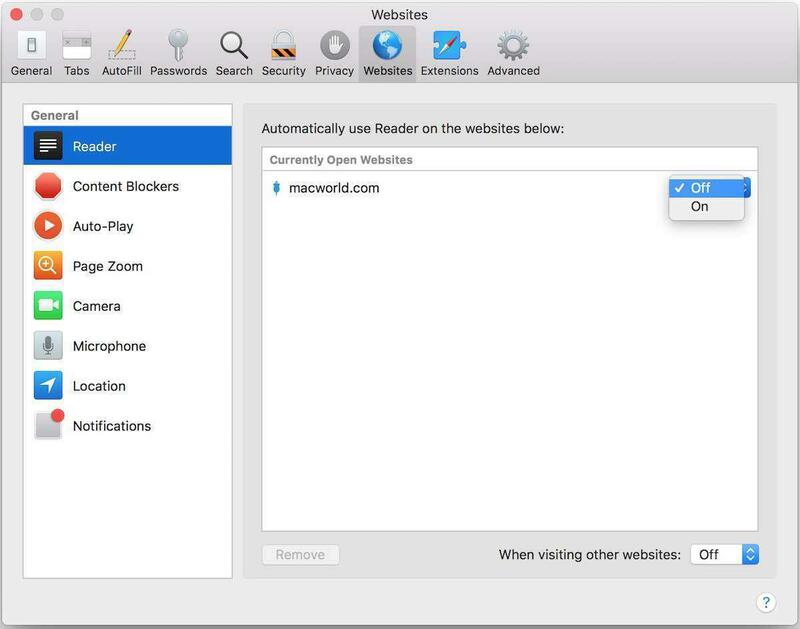 Here’s how to set Reader mode in Safari 11. What this will do is open any pages that are Reader compatible in Reader mode when you visit a particular website. Editor's note: This how-to originallly posted using the High Sierra public beta. It was updated using the final released version of Safari 11. 1. Go to a website you want to configure for Reader mode. 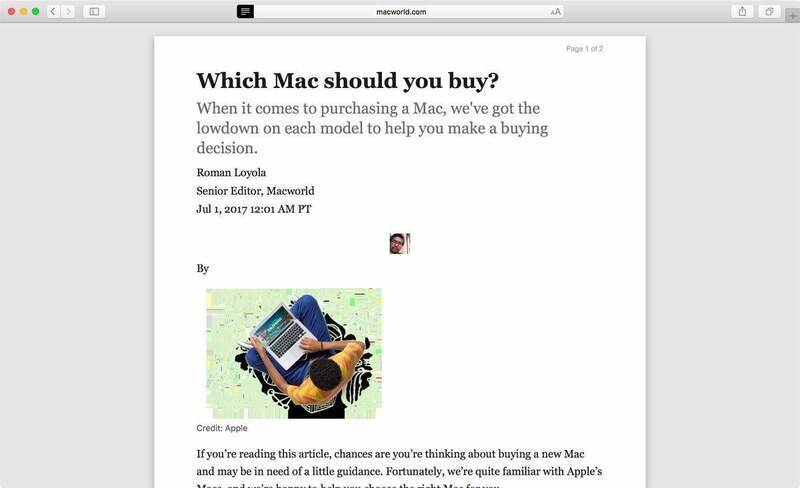 We’ll use macworld.com in this example. Right-click the URL box and select Settings for This Website, or go to Safari > Settings for This Website. As I mentioned before, some pages, like top homepages, won’t open in Reader. It usually works with article pages. 3. Click anywhere else on screen to exit the pop-up. You’re done. If you want to see what websites you’ve set for Reader, or you want to adjust your settings, here’s how. 1. Go to Safari > Preferences. 2. In the Preferences window, click on the Websites icon at the top. 3. Click on Reader in the left column. 4. In the box to the right, you will see a list of websites for which Reader has been set. To turn on/off Reader, click the pop-up menu to the right of each website and select either On or Off. 5. At the bottom of the preference window is an important setting. “When visiting other websites” basically allows you to determine if any website you visit opens in Reader mode. Select On or Off. 6. Close the window when you’re all set.